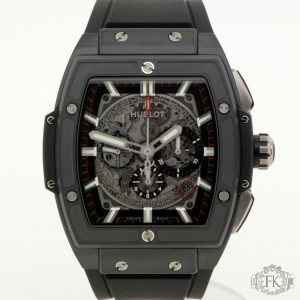 This is an unworn Hublot Big Bang . Model number 601.Cl.0173.RX. It has a 45mm Microblasted Black Ceramic case, a Skeletion dial and a rubber strap. The watch has an automatic movement.